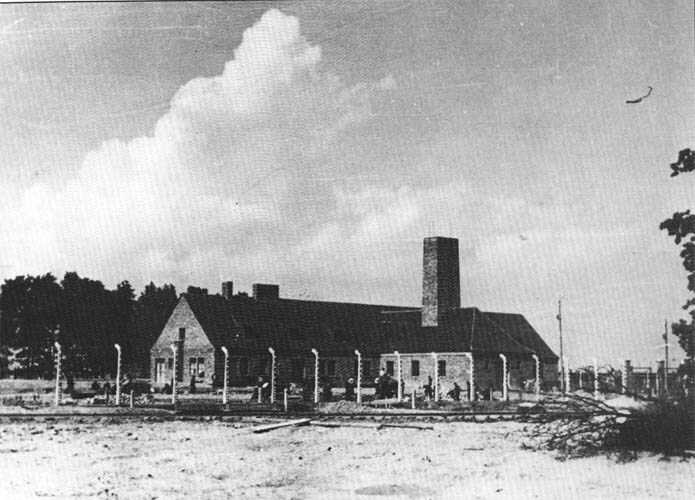 View of the western end and south end of Krematorium III, BW 30a, at the time of its official handling over to the camp administration by the Bauleitung on 25th June 1943. This photo, with explanatory inscriptions by the author, was published in the “Auschwitz Album” (Editions du Seuil, page 215). 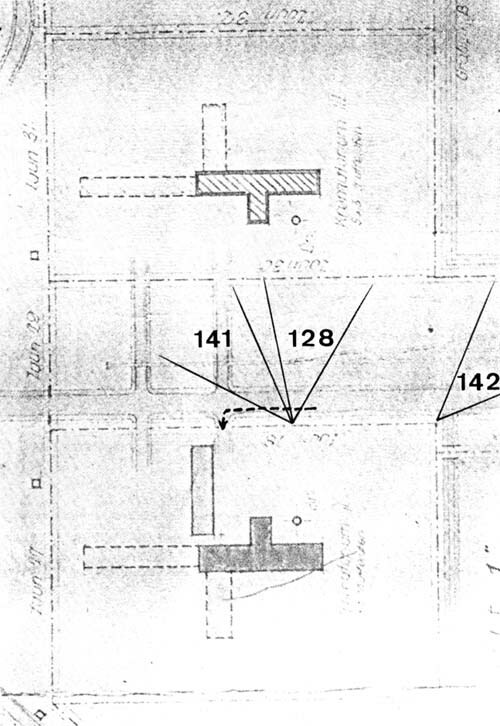 The four Zyklon-B introduction chimneys, located on alternate sides of the roof (unlike Krematorium II, where they are in a straight line down the center), are almost impossible to distinguish, despite the excellent quality of the print. In the foreground, in front of the barbed wire fence surrounding Krematorium III, is the extension of the No. 1 railway track, going past the ramp, which was used for shunting operations.